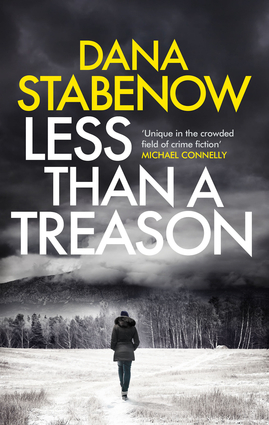 The long-awaited sequel to Bad Blood and 21st entry in New York Times-bestselling author Dana Stabenow's atmospheric Alaskan crime series. Kate Shugak is a native Aleut working as a private investigator in Alaska. She's 5'1" tall, carrires a scar that runs from ear to ear across her throat, and owns a half-wolf, half-husky dog named Mutt. Resourceful, strong-willed, defiant, Kate is tougher than your average heroine—and she needs to be, to survive the worst the Alaskan wilds can throw at her. And throw their worst the wilds have: Kate and Mutt have both been shot. Less Than a Treason is published by Head of Zeus and distributed by IPG.